We are the leading manufacturers of Acetylene Compressor. We are offering Acetylene Compressor. 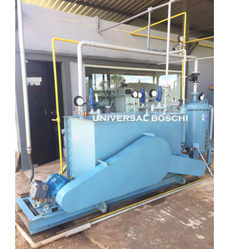 The acetylene compressor is a multi-stage compressor which is immersed in a water tank to avoid any pressurized gas to come in contact with air and also to make sure that all the components are continuously cooled for highest safety. The compressor is driven by a flame proof electric motor. We are engaged in offering Acetylene Compressor. We are unique supplier of Acetylene Compressor. We are prominent supplier of Acetylene Aircompressor. We are dealing in Acetylene Compressor.